To try and spend just one day in New York City would not only be frustrating for yourself but it would be doing an injustice to one of the most incredible places on Earth. Unless you enjoy torturing yourself, book a hostel through Hostel Bookers and spend a few days there just soaking up all you can. Part of the allure of the city is just wandering around it, enjoying the sights and sounds of a place bustling with business and tourists. Watch people go about their daily routines and lives and marvel at the wonder that is New York City as someone’s everyday life. Personally, I don’t know how they do it – the pace is just too hectic for me to keep up with day in and day out, but on vacation it’s all a part of the adventure! If you want a fun filled day out in New York City, take a look below at a few of my suggestions for worthwhile ways to see what the city has to offer depending on your interests, time schedule and budget. Want to do them all? Nothing to worry about – so long as you took my earlier advice and booked a place to stay! 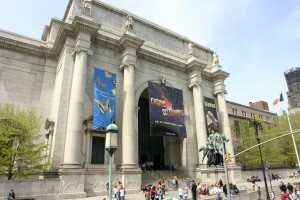 As one of the earliest major settlements in the US and a central player in world history and politics, New York City has a lot to offer those looking to learn. 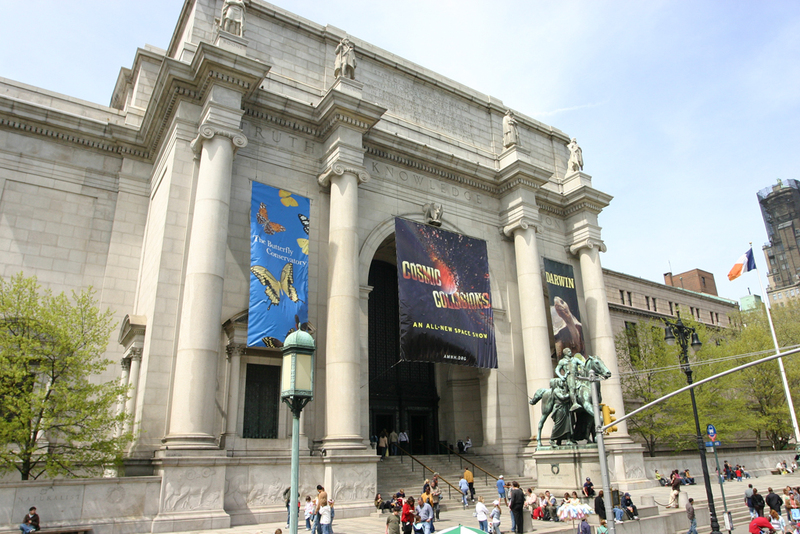 From the Statue of Liberty to the American Museum of Natural History, there are great historical landmarks just waiting to be discovered for a few hours or all day. Additionally, New York is home to the United Nations’ headquarters, which is a great visit in itself for history and current events on the world stage. You are probably already aware of this, but New York City’s Broadway district is a great way to spend the evening or an afternoon. The shows are constantly changing, ensuring there’s always something new and exciting to see. Keep in mind too all the other venues for theatre/movies from multiplexes to off-Broadway theatres. You can eat like a king and never go inside in New York City as long as you know which street vendors to try out. Failing this, try it all and waddle your way home when it’s all done. New York City is known for its great food in casual settings and beyond imaginable upscale establishments. New Yorkers are passionate about their sports and if you want to witness it first hand, why not get tickets to whatever team is in town? There are a wide variety of professional teams to choose from, including football, hockey, basketball and baseball to name a few of the more popular ones. Grab a beer in the stands and cheer on the home team – it’s never a good idea to cheer against a New York team on home turf!